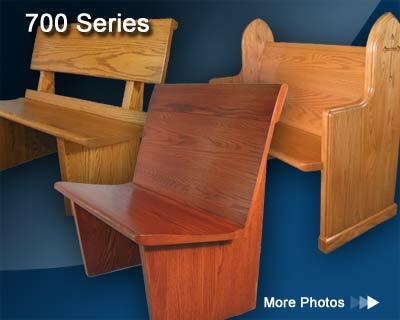 It takes special talent and expertise to craft a hardwood pew that is truly comfortable. The Marshall Company uses only genuine, solid FAS Northern Red Oak or other specified hardwood, certified as to origin and winter cut from trees selected especially for church furniture use. 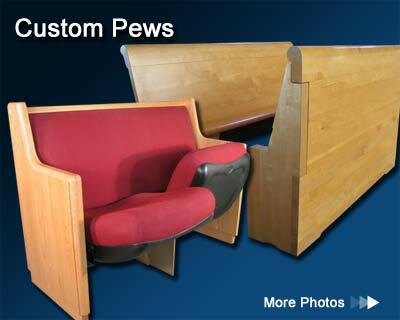 We don’t use veneers, plywood, chipboard, or hidden core material in our solid hardwood pews. 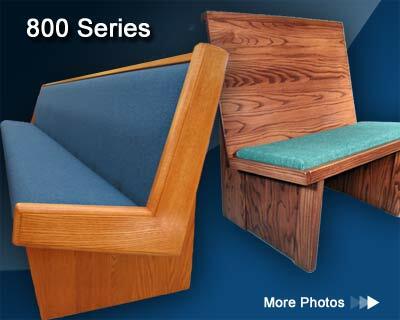 The Marshall 800 series pews incorporate a dual layer padded, upholstered seat with a variety of back options. 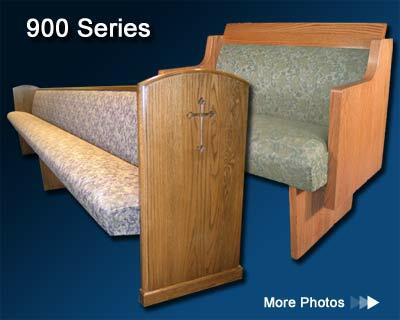 This pew has been carefully engineered so many custom designs can be rendered through its interchangeable seats and backs, giving you the flexibility your worship environment may require. Simple in design, this long-time favorite features every bit of quality craftsmanship as our other models. High density foams, solid Douglas Fir framing, and exterior grade plywood are just a few of the features of our fully upholstered pews. The Marshall 900 series of pews have been in continuous production since 1946, after a five year research and development period. Its continued popularity is due to the simple fact that this pew is the ultimate combination of comfort, utility, and durability. Your congregation can worship in ease and comfort while enjoying the benefit of its elegant contoured back and wide �ShoulderRoll� cap rail. And as for durability � this pew boasts the strongest frame in the industry with a spring design that prevents that �bottoming out,� so common in inferior pews after several years. It is hard to go wrong when choosing this design � its beauty and elegance will grace your house of worship for many years!